Apart from their Rugby League team and IKEA, there’s not a lot that really puts Warrington on the map. 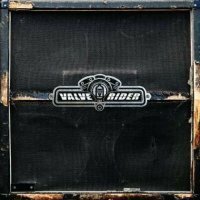 That may be about to change though with Valve Rider, a band that with the right breaks and a couple of high profile support slots, could be about to add themselves to that list. Describing themselves as “Blues drenched biker hard rock” pretty much sums them up and admittedly there’s nothing particularly unpredictable or innovative here, but played with a huge amount of attitude and no little skill they have produced a raw, heavy blues album that kicks and grinds and is a pleasure to hear. Formed by guitarist, songwriter and all round main man Nathan Moore it’s undoubtedly his album throughout. The rumble of a motorcycle engine firing up opens the album intro, leading into ‘Judge’ a brooding mid paced rocker with title track ‘Bring It On Heavy’ following in similar theme with a bit of slide guitar and Lynryd Skynyrd influences thrown in for good measure in the chorus. ‘Cross The Line’ opens with some more nice slide work, which continues throughout the album to be honest, stepping up the pace a little with brothers Sean and Lee Gallagher providing the tight bass and drums foundation for Nathan’s guitar work. A good instrumental is a tough thing to pull off and unfortunately that remains the case here. ‘Shovelhead’ is a bit of a missed opportunity, failing to provide a real showcase for Moore, his soloing being more effective in the context of the other songs. It also includes a guitar/vocal “battle” which is fairly pointless – perhaps meant in a Purple improvisation way, but a Gillan and Blackmore they certainly ain’t. Although Adam Ward gives a strong vocal performance throughout there are times when I’d like his voice to be just a bit more rough and ready, a bit more rawness in its intensity, sometimes it seems a little too smooth in contrast to the dirty guitar sounds of the band. Let’s have a bit more of say Samson / Mammoth man Nicky Moore’s gritty edge. Things are soon back on track though with an extended solo to end ‘Hard Blown Away’, and so it goes on. There’s nothing new on display here, just some well played highly enjoyable heavy blues rock. Influences are there a plenty, from Zeppelin and 70’s rockers Budgie – ‘Let it Roll’ could easily be the introduction of Budgie’s ‘Breadfan’ – but despite the “classic British” claims for their sound, the early ZZ Top, Skynyrd and traditional American blues are firmly in there too. 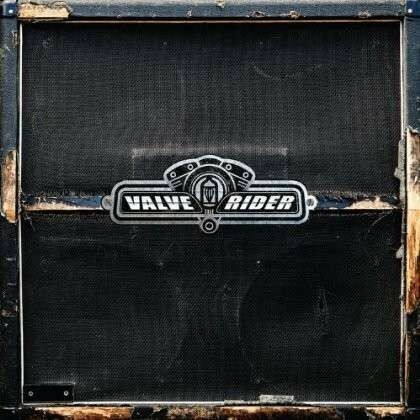 Valve Rider could certainly do with a bigger production job next time around, they’re not going to change the world, but if you fancy a bit of straight forward, down and dirty heavy blues then you will not go far wrong here.